Major changes are on the way for Auckland’s $6 billion light rail programme, including extending the modern-day version of trams to Kumeu in the northwest. In an exclusive interview with the Herald, NZTA chief executive Fergus Gammie said the plan for trams from the CBD to Westgate will probably be extended to Kumeu. Extending modern trams to Kumeu is being driven by already congested roads from a housing boom and projections of 25,000 more homes in the northwest by 2032. This isn’t exactly news, as the maps in ATAP showed the light-rail route extending all the way to Kumeu. Simon Wilson has even talked about it in the Herald before. Every workday, Yelena Khalevina, her husband and son leave home in Huapai at 6.30am for the long 30km crawl into the city. With jobs and daycare over, they get back in the car at 5pm and don’t get home until 6.30pm. There’s a stash of books and toys for the “quality time” they spend with their toddler, who’s tucked up in bed soon after they get home and feed him. “I would gladly take the bus,” says Yelena, except it takes longer than the drive to and from her job as a digital analyst in the city. The motorway can’t cope with the numbers of people living there now and an extra 75,000 people are expected to be living in the area in the coming decades. In a separate article published yesterday afternoon, the Herald questions the need for light rail to the northwest. Government plans for a $2.2 billion light rail project to West Auckland go against a business case that says a busway can be built relatively quickly and cheaply. Light rail, a modern-day version of trams, came second behind the preferred option of a busway in an indicative business case for rapid transit to northwest Auckland. We obtained the same business case last year. It’s mostly pretty good but has a major flaw. The study stopped on the edge of the city (around K Rd) and didn’t assess any impact the potential solutions would have on the city centre. In other words, it just assumes that we can chuck an unlimited number of buses down already busy city streets (Albert St). That’s clearly absurd and is at odds with the whole reason light rail for Auckland along Dominion Rd was being considered in the first place, that we have too many buses in the city preventing us from improving services. There is huge growth planned for the Northwest. In the coming decades around 75,000 more people will call the Northwest home. There’s already a similar number who live near the SH16 corridor and many more new residents will be added to places like Te Atatu and Pt Chev with developments like Unitec. Long term we’re going to need significant capacity. We’re going to need to upgrade the Northern Busway to light rail in the decade between 2028 and 2038. The modelling suggests there’s about twice the demand from the shore to the city as there is on the Dominion Rd – which is why there’s also a spur to Takapuna. Instead of just turning half of those vehicles around empty after they’ve already travelled through the city, it makes sense to send them somewhere new and expand the network. Because of point 2 above, it also addresses the issue above of what to do with the Northwest corridor once it reaches the city. This could also potentially allow for Albert St to be further detuned and made more pedestrian friendly, or to allow more buses from areas not served by the rapid transit network. So we’re getting better use out of the rapid transit corridors through the city, exactly what we should be aiming for. The light rail cost of $2.2 billion is highlighted on the first line but the real story is hidden in the middle of the piece, noting “The busway was costed at $2b and light rail, via State Highway 16, at $2.2b”“. So there’s actually only a 10% difference ($200 million) difference between a short to medium term solution and a very long term one, that seems like a great bargain. Light rail is also likely to attract higher usage as the article also notes ” The business case said light rail is the best option in achieving transport outcomes“. More expensive but also more benefits. The biggest challenge with building light rail, or even a busway, is the cost. But the funding environment has changed significantly from when this report was completed. The new government have made it clear they’re looking at longer term funding options for the project, which was highlighted back in May when procurement started. Even with funding sorted, physical infrastructure still takes time to build and parts of that would be staged, which is seen as a negative for light rail. The business case, obtained by the Herald under the Official Information Act, said light rail would have to be built in one package, whereas a busway can be staged. It said the busway was designed to light rail standards and could be upgraded to light rail in the final stage of the programme. Twyford said Labour was going straight to light rail to avoid the cost and hassle of building a busway first. “To cope with population growth, we would need to replace the busway with light rail in time because light rail can carry more people than a busway. “We don’t want to disrupt one of the city’s major arteries again in 15 or so years. Better to do it once and do it right,” he said. Twyford said the indicative business case did not properly consider the intensification benefits of light rail or the disruption of replacing busway in the future. There’s actually a way to satisfy both sides of the staging debate, building light rail in a way that buses can run on it until the rest of the route is complete. This is highlighted in a now published cabinet paper titled “Proposed approach for Auckland’s rapid transit network programme” which led to procurement starting. If the long term need and goal is to have the Northwest corridor as a light rail route, you’d have to ask why you wouldn’t go use this option. In another bizarre twist to the piece, it’s claimed that the Pohutukawa along Gt North Rd would be under threat from light rail. 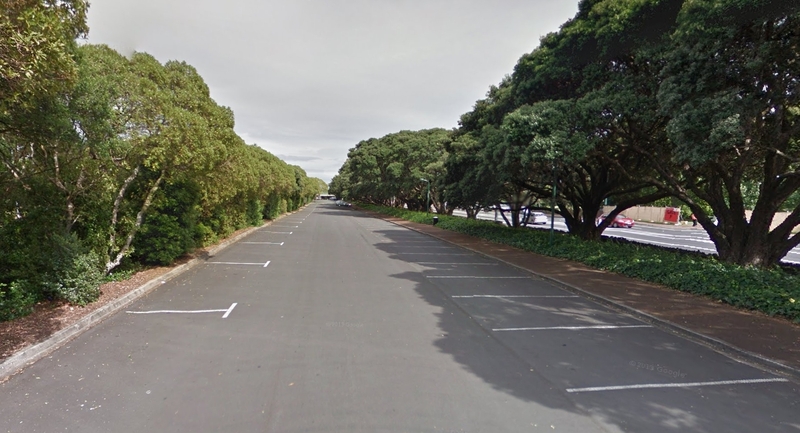 The options could also see the loss of six pohutukawa trees opposite Motat on Great North Rd that were saved from the chop after a public outcry during work to widen the northwestern motorway. The trees weren’t under threat from the motorway widening directly but plans by AT to widen Gt North Rd to further focus on moving cars. Light Rail is assumed to go on the Northern side of the motorway but it’s hard to see how the Pohutukawa would be under threat. The carparks between them and the motorway definitely would be but not the trees. Exactly where will the stations be? Which parts would be staged first? (it’s previously been suggested that regardless of mode, the City to Pt Chev section is required first followed closely by the Te Atatu to Lincoln Rd section. How will the line cross the causeway? The biggest concern I had about that piece on the Kumeu extension was the amount of space the Public Transport Users Association (PTUA) was given to spout their zombie facts. The PTUA might be wrong about most things, but the worry is they are bunch of very well connected older white males so a) they assume their POV is “common sense” and b) they are certain they are right, and c) they have the ear of people like Orsman. Anyone happy to spout angry reckons and whinge about council plans has Orsman’s ear. He is only there to sell hate for the council and portray them as inept, dysfunctional, or both. The PUTA councillors think that leaking documents and griping about the now-extensive rail transit plans is somehow going to get them their pet project shuttle from Swanson to Huapai. Time will tell if their strategy of discrediting rail expansion plans will help them achieve their rail expansion plans. It does seem bizarre that there is already rail to Huapai/Kumeu/Waimauku, right here , right now, and even platforms but we ignore that as an alternative to roads. There was a business case done on this last year, the BCA was 0.5. The current population out there was too small to justify even the small upgrades required and the ongoing running costs. The population is expected to grow of course, but so is the light rail line. A business case by who? If the population is too small to justify even the tiny costs of sorting out the HR then how can there be even the slightest justification for a costly LR section from Westgate to Kumeu? I believe it was an AT business case. The Kumeu LR proposal is based on there being a much larger population in 20-30 years time, when it would likely be built than there is now. So with a 20 to 30 year wait for NW LR then a metro HR to kumeu would be an excellent gap filler and at least take some pressure off the NW motorway? You agree? If those who live in Kumeu are happy to pay a targeted rate for it sure. But I’m not keen on wasting valuable funds on something that costs more than its economic benefits. Targetted rate? Very funny and a political winner. No doubt to be completely fair you would support targetted rates for all those within the catchment of rail stations and bus routes/stops. Just thinking of that tower block development right next to Glen Eden rail station, clearly taking advantage of the convenience to rail PT, so a significant targetted rate should be levied? The economic benefits from the rest of the rail network more than justify the costs of running it so no need for a targeted rate. However, I do actually support rating to properly capture the increased property value from being near a rail line. Um @jezza they did vote in a targeted rate for that exact reason, however following that the LB found that funds from the targeted rate could not be used for rail due to some bizarre clause in the targeted rate legislation. Rail to Huapai/Kumeu would certainly complement the LR line but, is in no way, a ,standalone alternative. It’s far too slow and circuitous. Ideally the NW would have both options but as resources are not unlimited, light rail must be the priority. A rail service to Hupai could probably be implemented in a year or so. 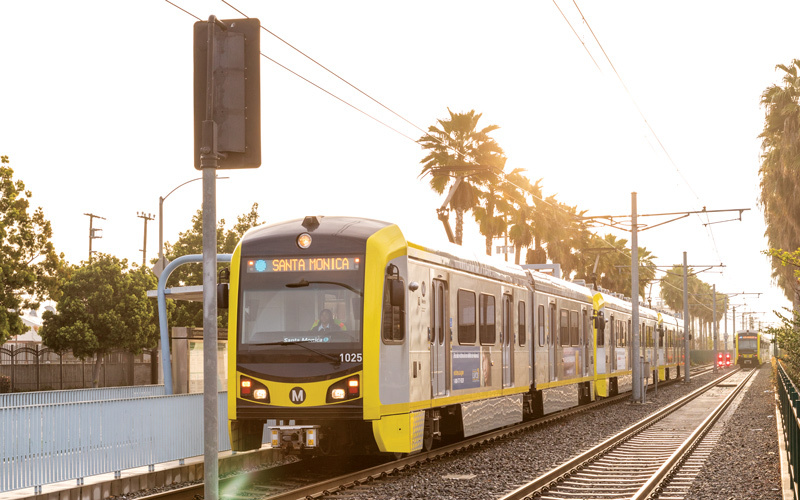 The light rail proposal looks 10 to 20 years away. Surely a rail service would help reduce the pressure on the western motorway especially during rush hours. Travel time seems to be a problem on rail. Would a partial answer be to have, like Onehunga line, limited stops during peak times? No that is not the answer. Onehunga line gets away with having limited stops as there are much fewer stations it skips and does not run the entirety of the Southern Line. Also – if I recall right – they did it for another reason other than making the trip faster which was to utilise the rolling stock more efficiently. To make a line all the way from Huapai time-competitive, you would have to cut out a significant number of stops on the Western Line that would reduce the current frequencies for most stations. Why should people living closer to the city have to sacrifice the convenience of their train services for people living way out of town to have express trains. CRL will make the Western Line much more time-competitive. The Huapai HR proposal is sure to get some attention once Pukekohe electrification is underway. It is a no-brainer. Another detail I would like to see discussed is the possibility of avoiding a motorway alignment north of Westgate. Motorways are bad neighbours. Also, will the North Auckland Line be diverted from the town centre to free it up for light rail? How dare somebody have an alternative point of view in a democracy. That’s ironic as your comments invariably state precisely that. I don’t think they are well connected to anyone that actually matters. Can I ask a dumb question: who are the Public Transport Users Association? Their main spokesperson seems to be a media figure and lobbyist. How does he represent commuters? There is a similarly named group in Melbourne but they are quite different. They have several thousand members and elected office holders. So they are genuinely representative and have a mandate to comment on behalf of commuters and their members. I’m wondering the same. Even though I signed up to be a member a year or so ago. 🙂 Haven’t heard from them for ages; certainly wasn’t asked my opinion about this. I note the Herald, not surprisingly, is using the term “Tram”, a trademark Koch brothers/right wing derogatory term used by Judith Collins and her friends to conjure up visions of backward clunky wooden street cars. I suggest a long term strategy to never have anything but cars and motorways is underway by the opposition, such is their mole like vision. The term “tram” gets thrown around by anyone who opposes the plan of light rail anywhere in Auckland. I’ve ever seen comments comparing the future light rail units to the tram that is currently operating in Wynyard Quarter. I don’t actually think those people are well traveled enough to see how well light rail performs in other cities. My dictionary describes a tram as a public transport vehicle powered by an overhead wire and running on rails laid in a road. So therefore, the terminology is correct. Or are you just another light rail hater? Of course nobody on this blog would describe a new section of SH1 as the ‘holiday highway’. What are we going to call them instead? That’s the generic name, but what are we going to call individual units? Brian. We’ll call them Brian. Any other suggestions? Once LR is up and running, the vehicles will be known as trams, just like on-street LR units pretty-much everywhere else in the world. ‘Tram’ is not a derogatory term, except in the minds of those who fear that this label may prejudice the chances of actually getting them. Odd really, because the term ‘train’ can also evoke clanking, old-fashioned belchers if that’s how people want to see them. And unfortunately a fair number of Kiwis out there are indeed stuck in that mindset..
Or LRV’s – that’s the term these days, Light Rail Vehicles. The Herald needs to go out of business actually, the amount of space it gives idiots like Hosking, Roughan, Orsman and any other plonker who is white and has a reactionary view to everything. They need to get to grips with the fact that the new Auckland will be very different to the old one, and that’s a good thing. As a former subscriber I often get called and offered absurdly cheap deals to subscribe again, the most recent was 7 papers a week for just $6, I don’t think going out of business is that far away. And your response to anybody who disagrees with you is to get abusive. Jase – Racist much? I thought racist comments were banned by greater auckland? Do you want more young blacks instead of old whites? Technically we should call them Light Rail Vehicles (LRVs). Some LRT systems couple LRVs together into trainsets 2 to 4 units long. Then they are trains. If the Auckland system runs the sets of coupled 66m LRVs (2 x 33m) those will be trains. Or they use the even more sneery term “trolley”. I would prefer they were named Ding Ding Ding, Clang Clang Clang, Zing Zing Zing, and Judy Garland. Judy Garland, indeed? For you, miffy, I think they should name one John Farnham. Only a small group of niche transport bloggers call them trains/light rail. Nothing wrong with that at all. And nothing incorrect about calling them trams either or street car or trolley bus or electric locomotives or Brian. Normal people in Auckland would call them trams because that is the word we got from England and is the closest context that people have to that word. We used to have trams, now we will have them again. That is why the Herald uses the word. People would understand that word best. It’s why academics are often misunderstood because they lack the ability to communicate with normal people. You don’t say “Lets grab a light rail to the store ” or “See that LRV running down the road.” or “I missed the train on Queen St”. People would get confused. If you want to call them light rail, that’s great. I call them trams and I’ll probably always call them trams. 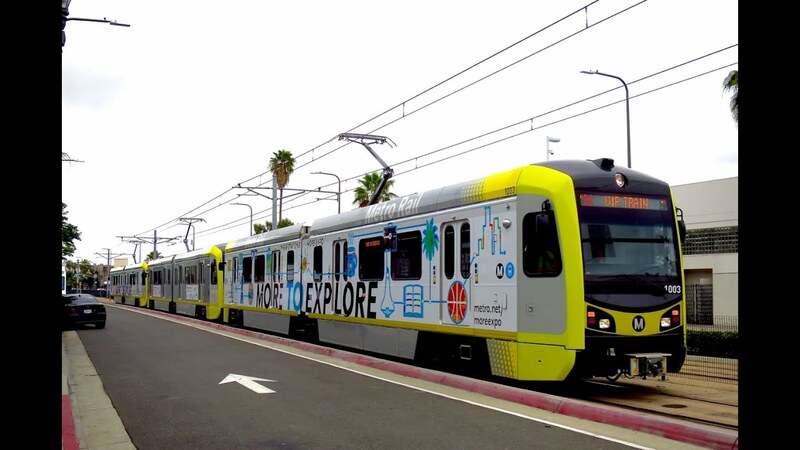 Tram = Light rail vehicle capable of street running. IMO running in pedestrian mall (planned for Queen St) counts. However I see the term “Light Rail” as useful during planning/lobbying to emphasize the higher quality ROW than old fashioned street tramway (i.e. in mixed traffic). +1 LRV is more correct but obviously the tram term will be used casually in conversation as it’s less syllables to say quickly. Grab/use the “light rail” is not too bad though for saying fast. Stop talking nonsense. Melbourne’s The Age newspaper has an article in today’s paper where it refers to trams, tramways and tram tracks. Although Melbourne’s are genuine trams running with general traffic on roads. At least 50% of the Auckland network will be on dedicated land next to the motorways, and only about 0.1% will be mixed with traffic (this being a few intersections on dominion road and queen street). They will look and function more like trains than traditional trams. Yes that’s the difference. What Melbourne has is trams (small vehicles from 12 to 30m in length, most still single bodied, some articulated) running on tram track in the street (shared with traffic subject to congestion, no signal priority, mostly without their own lanes and with lots of closely spaced stops where, for the most part, there are no platforms and people just wander out into the street and climb up). What Auckland is proposing is true light rail: Very long high capacity multiple unit vehicles up to 66m in length, 100% dedicated lanes without any traffic at any time, the majority of the route on grade separated high speed rail way, and full priority at traffic signals where the tracks run on street, widely spaced stations with proper platforms. I’m not sure if it is malicious, or just ignorance or lazy journalism. But to call the proposal “trams” is really quite poor at describing what is actually proposed. I would say it is deliberate as the word tram is used in the same sentence as other negative words. I think the proponents HR hate the use of the word rail in an alternative to HR. As to why PTUA gets so much space in articles, research who the founder of PTUA works for. And the term ‘holiday highway’ is what? Descriptive, yet with a frisson of irreverence. I disagree that LRT can’t be staged. It just wouldn’t be ideal. Stage 1: LRT to PT Chev, NW bus routes along GNR retained with transfer enabled at Pt Chev. Still gives you capacity boost in the inner west, freeing up some buses for local transport. Maybe also have buses run Pt Chev to Kumeu/Westgate at peak. Stage 2: LRT to Te Atatu with interchange facility. 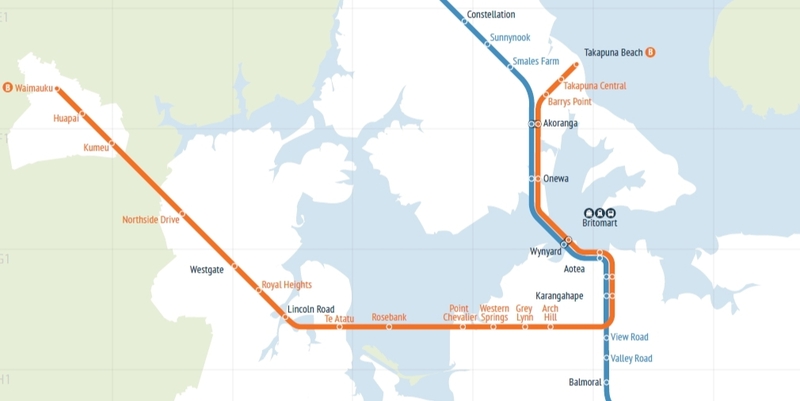 Change Te Atatu Peninsula services to original new network plan. Run fewer buses than before from Kumeu/Westgate to the city. Stage 3: LRT to Lincoln Road with interchange facility. Forced transfer at Lincoln Road station. The other issue is that we don’t want to stage this. An RTN service to at least Westgate would be justified by road congestion by the time we build it. I’d argue that it is already justified. Would it be easier and quicker to build the LR line between Kumeu and Westgate first? Make that Stage 1 and ‘get some runs on the board’.There’s a strong political imperative to demonstrate real progress on the LR network before the next election. The inner city section is likely to be much more problematic as demonstrated by the issues in Sydney. Who would use it? I can’t imagine there is a lot of demand for travel specifically between Kumeu and Westgate, especially with Kumeu’s current population. Makes much more sense to build the inner portion first as this connects to the biggest employment centre. Not sure what relevance Sydney has, their LR is on street, which is where most of the resistance comes from. It would demonstrate the appeal of LR in an Auckland context and build support for the continued development of the network. Build the easiest bit first with the likely location for a depot and get something running or risk having the whole thing shelved in 2 years time. Kumeu has a small population at the moment and Westgate is hardly a major employment hub. I don’t think that isolated section of LR would demonstrate much appeal at all. Which is the same for cycleways – you need connectivity and you need a destination for it to become useful. Common sense really, but not to everyone it would seem. Imagine taking the fast LR to Westgate only to be dumped on a bus that takes over 1h to get to the city and is stuck in the traffic with all the cars. Who would use a service like that? Imagine being able to use fast LR to Westgate only to dumped on a bus in a few years vs 10+ years while the entire line is built. Imagine the contrast actually dramatically increasing political support for the whole project instead of endless carping headlines about disruption, shops losing customers, unforseen problems with underground services etc etc. AT can’t even built a LRV connection from Wynard Qtr to Britomart over the past 8 years. Not a hope in hell of building 40kms of LRT lines across Auckland. Must be young fat white girls in charge aye “Jase- the racist sexist”? My understanding of the issues in Sydney is that it is the compounding of 100 years of neglect of services down George Street that led to work stopping and it going to court to resolve the costs and payments issues associated with under scoping of the work. Funnily enough the Light Rail being put in is going back in exactly the same place/route as it was taken out of previously. 10:1 doing this ends up with Pt Chev getting access to Light Rail and then the rest of the project being deferred indefinitely. All the same reasons were put forward to justify a northern busway over a light rail system. The ability to run buses on the busway and then continue on other streets was a major factor. Of course now it is run with feeder buses transferring at the stations so we would have been better off if they had just built a bloody light rail in the first place. One small, wet difference there…..
That was the decider for the Government. Transit NZ didn’t believe more people would use two tracks on the bridge than were then using two traffic lanes. That and the Shelley Beach Rd off ramp problem. Miffy, you do understand that many bus services use portions of the busway as parts of their routes? And that emergency services and airport shuttle vans also use it. Do being the operative word. From September it will only be the Ponsonby Road route and the NEX extension to Silverdale. Exactly. At the time the busway was planned they wheeled out John Bonsall who had run the Ottawa Carlton transit agency. They got him to promote busways over rail in part on the grounds that you could bifurcate services and build in stages. The same arguments some have put forward for NW. But if you are not running those services, and it makes sense not to, then there is no real advantage. The issue now is how on earth can you ever build LRT on the shore given the major disruption it would cause to the busway and its passengers? It makes more sense to choose what you want in the long run do that. They have to build another harbour crossing before worrying about what to do with the existing traffic on the busway. So the cost is the main issue, no surprises there. Busway or LR, major disruption, longer delays, years away and meantime the road congestion gets worse and eventually those kids will be bedded long before the parents get home and probably grow up without parents on weekdays. But wait a minute, isn’t there a perfectly good railway line all the way to Kumeu and beyond? Why is that being ignored? Any costs to get this a goer would be a fraction fraction of LR/busway costs, little to zero disruption? What about someone at AT with the cojones taking a proper look at resolving Rapid PT to Kumeu via HR? Express or limited stops to get decent travel time, an IPEMU or two? And you are also neglecting the fact that it will only serve a small area compared to light rail, so even if it is cheaper, the benefits are a lot less. Correct. I’m not saying no NW LR but in the context of this article concerning Kumeu and Huapai there is an extant HR that could be utilised. This may ease pressure on the NW motorway thereby helping traffic flow for Massey, TeAtatu etc. – If we managed to clear that one the travel time from Kumeu to CBD still would be in the range of 90 minutes. From my personal experience that’s still below current average drive times at peak. So the likelihood of getting decent patronage is relatively slim. I do agree that HR is a good solution to Kumeu right now, but it’s not a fast solution and there is very limited capacity on that line without adding another – which might not be all that bad an idea if you routed it via Onehunga actually. BUT it can’t and won’t serve areas like Massey and Hobsonville and Whenuapai that are the major growth areas, nor would it be able to eventually be able to loop out to Greenhithe and hook up at Rosedale. The advantage LR has over HR is that you can have much steeper grades which means you don’t need massive cuttings and tunnels. LR takes up a lot less space too and these days has similar capacity. Autually there would little if any difference in grade capability of HR and LR, certainly the current AM emus can climb any grade that an LR vehicle could and probably faster as well. The grade limits on HR are defined to allow heavy slow freight train movement. If HR was new constructed primarily for passenger emus then the same grades used for LR could be used. Thats why the North Shore rail will eventually be HR. In any case the NAL to Kumeu/Huapai already exists so grades are a non issue. Malarkey, do you have any idea the grades an LRV can climb? Remember the old system had trams running up College Hill, Queen Street and Chinaman’s Hill – you would never get an EMU up any of those without cogs! So you are talking about single short length tramcars now? Not multicar LRVs? Or are you saying that a multicar LRV is much more capable of hill climbing than an AT metro AM set? You have researched this and have evidence that supports your ‘malarkey’ assertion? Linz, Austria has one line with approx 11% grades operating modern 3-section low floor trams/LRVs. Yeeeeeees, much much more capable. Kiwirail ruling grade is 1:32, they stretched it to 1:26 (not quite 4%) for the CRL where only the special order EMUs run. Ruling grade for the Dominion LRT design is 1:12 (8%). 66m long coupled multi unit consists. Special order LRT can do 12%. HR is not a feasible solution in the long term. It is already over an hour to Swanson and probably an extra half hour to Kumeu. Even with the CRL, adding extra mains, removing level crossings and speeding up EMUs it will still be quicker traveling from Kumeu to city via the motorway. This won’t get people out of cars. 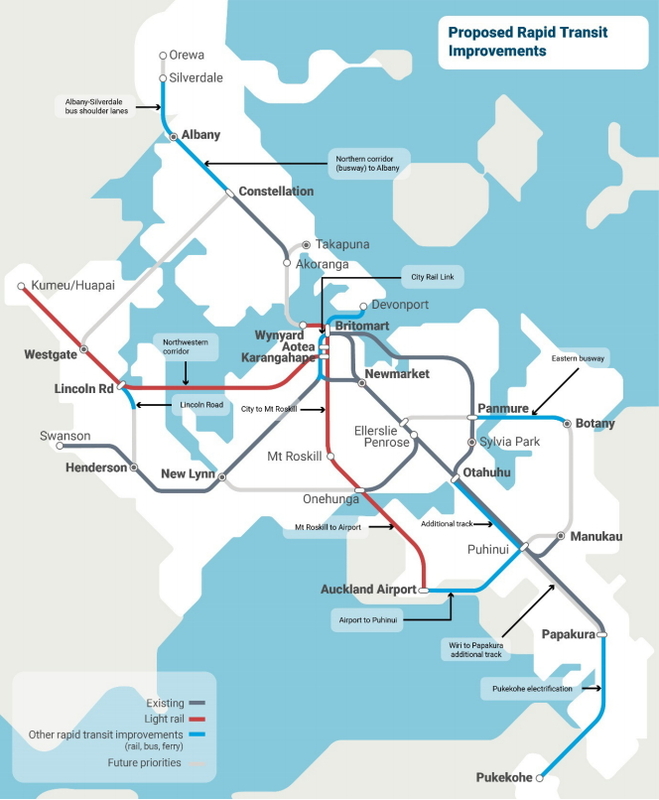 I support an interim solution to get shunts as far as Swanson or even Henderson but in the end the area needs a rapid transit link as direct as possible, with stops in Westgate, Massey, Te Atatu, etc. Limited stop or expresses can easily reduce the total travel time from outlier stations. No need for 3 rd line . Existing lines with existing crossovers and a very few passing loops will easily do. Not even any need to double track from Swanson to huapai. Nonsense, with the existing 10min frequencies and the plan to increase these post CRL crossovers would not work to allow express trains to pass. Passing loops need to be quite long to allow an express to pass without either service being disrupted, once you allow for the minimum gap between trains and the non-express continuing to move. A 10 minute frequency on all station stoppers does not prevent express services being slotted in. As I recently saw first hand when an emu broke down at Morningside there is the capability for overtaking trains to run on the opposite line – up trains running on down line and viceversa. All of the signalling and many crossovers are already installed and working on the western line to permit such running.. So ‘wrong line’ running for expresses/limited stoppers is indeed very feasible. With all the tracks and signalling existing for such running then cost to implement is minimal. Yes, still nonsense. Your Morningside example is completely irrelevant as it was a stationary train so requires a much shorter distance to pass. Passing a moving all-stops service would require a significant length of track, this is simply not possible with trains coming the other direction, even with reduced frequencies. Also it is worth remembering that 10 min frequencies in one direction still requires a train every 10 mins in the other (even if they are running empty) as the trains have to get back to the start of the run. Sorry you are wrong. 10 minute frequency to britomart does not require counter 10 minute frequency to Swanson. Emus are parked at Henderson yard to fill in the 10 minute peak time frequency. Then at off peak times there are ‘not in service’ train movements to get emus to appropriate service start points or storage yards. The peak period on the western line runs for 3.5 hours in the morning and 4 hours in the evening. This means almost all of the peak EMU sets do two trips in each direction, so yes they do have to run 10 min frequencies counter peak. That is all irrelevant anyway. Even if the crossovers were perfectly located the express service would likely need to run for 3-4 stations on the opposite tracks to pass a all stops service without impacting on it. This would seriously impact on the frequencies that can be run in the other direction, probably meaning 30 min frequencies counterpeak or even less. You are an idiot. You have to run counterpeak trains at 10 minute headways so they can return for their next peak direction run at 10 minute headways. Unless you are proposing to have three hours worth of trains lined up at one end then put into stabling at the other? ..and you are a dickhead. Why don’t you go investigate what is actually happening on the Western line before posting nonsense. Are those emus stabled at Henderson just for decoration or emergency use only. To all those who know betterer than me…. I actually had to work for several days from 6.30am within view of the stabling yard at Henderson and the dozen or so emus parked there overnight gradually left and went out west. It seemed obvious to me they were off to do the citybound metro service starting at Swanson as there were insufficient emus coming from cbd to get enough at Swanson to cover peak services starting at Swanson. If this wasn’t what they were used for then where did they go? Up the NAL to hide for while? Or is there a secret siding they vanish into? If all eastbound emus are just turned around westbound emus then why bother stabling any at Henderson? Bogle, you are correct. Those trains are the initial trains that start the day from out west, makes more sense than bringing them from Wiri. However, as I mentioned earlier most EMU sets will do two peak runs in each direction so they need to run at 10 min frequencies both directions anyway. The small population of Kumeu simply doesn’t justify any messing around with frequencies on the popular Western line. Bogle. You lost the argument when you start using personal attacks against people because you aren’t successful at debating. Interesting, how do you debate with someone whose contribution is to say ‘You are an idiot’? Anyway, I give up and realise debate here consists of responses like ‘nonsense’, ‘malarkey’ then told I am an idiot. Bye GA.
Oh dear. Your input is valuable, Bogle. Don’t go. That is such nonsense, I was speaking to someone involved in those operations and mentioned specifically this issue and they said once CRL is running there really will not be any more capacity on those lines. That includes boosting the South Auckland services too – the trains will be full by the time they get to Papakura heading in. So its nonsense because some anonymous person has an opinion and you believe what they say. Lets hear from the anonymous person rather than just hearsay. Jase would believe them, but only if they weren’t “old white men”.. if it was a fat young black girl that’s a different story! For some reason HR fanatics seem to obsess over end points (e.g. Kumeu, Airport) while ignoring all the catchment along the way (e.g. NW line: Te Atatu, Westgate; SW line: Mangere, Dom Rd). The NW line is mostly not about Kumeu. The SW line is mostly not about the Airport. “…High density? Integrated with PT? Public housing? 🙂 Almost like there’s someone making decisions who understands about the link between land use and transport. Misleading. The extension of Heavy Rail from Onehunga to the airport always had stations at Mangere Bridge township and Mangere itself. As far as I am aware, there is no plan to extend heavy rail from Onehunga to the airport. So in a reality based world, not so misleading. +1 – it’s not feasible to do HR any more so let’s not even go there. Could have worked before the Kirkbride works but now it can’t so let’s concentrate on actual solutions. NZTA is all over this now so expect to hear from them by the beginning of next year I would say. My objection was that gk said that heavy rail “ignored all the catchment along the way” and specifically pointed out Mangere as a suburb to be ignored. Misleading! Neil: how about addressing the NW line? And, as I said below, the current HR to the Airport scheme being pushed by HR fans is a one stop branch from Wiri that does not serve Mangere (ie Mangere is being ignored). The most recent “HR to the Airport” idea being pushed is a one stop branch from Wiri. That’s a political decision since the election designed to make HR look unacceptable. Before that it was always stations at Mangere Bridge township and Mangere. It’s the preferred option currently being pushed by HR fanatics. Might have already had HR to the airport by now if the line had been taken across the Manukau Harbour when the new bridge was built. Two key issues: both Light Rail lines, replacing many buses, using the same route in the City Centre, Queen St, makes both a highly efficient, and hugely desirable outcome. If the study had included the City Centre in its scope, as it surely should have, then the cost difference would likely disappear as it would have to include the cost of accomodating a huge growth in bus numbers from the northwest there. Whereas the NW LR line simply joins the Dom Rd one at Ian McKinnon, actually freeing up city streets. Banking even more on the value side of the ledger, especially for place quality, air quality, crash reduction, freeing existing street capacity for other bus routes or pedestrians etc. Secondly, building the NW route is mostly in the motorway corridor and not like Queen St and Dom Rd in terms of complexity. Particularly the discovery and relocation of underground services problem is largely absent. So construction cost between the two modes will actually be pretty similar. Busway are wider, LR have track, in a clean RoW; it’s a wash. Also NZTA knows how to work there, and it’s much more about engineering and less about fitting in around a functioning city…. 1. Huge and growing need for a Rapid Service there (one NZTAand prev govt failed to even accomodate with just completed works there), as shown by constantly failing SH16 motorway. 2. Good way for NZTA to upskill on the provision away from the human complications of Dom Rd. Though ideally, depending on the procurement model, both lines with be underway at once. I have no problem with Light Rail to Kumeu, except I have no idea where AT will park all the trams. 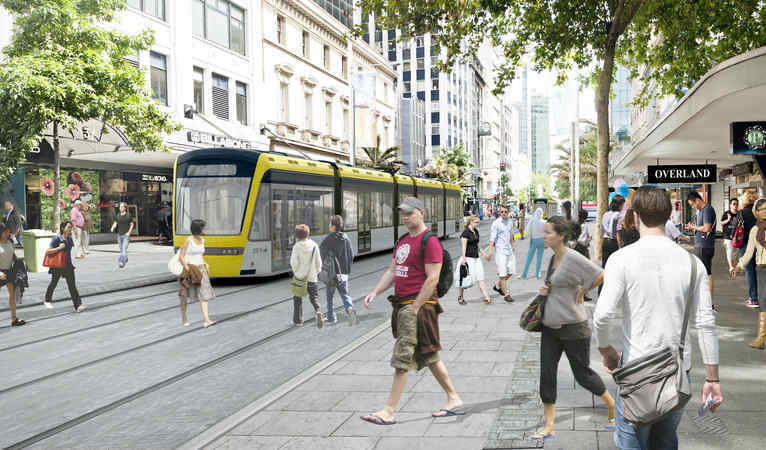 Has AT got sufficient room in Central Auckland to park trams? Old rail yards? Tunnels? Or do they run tram services 24/7 so they are always on the track. To run a tram every 5 minutes to Kumeu you going to need a big parking area during off hours at either end and or in the middle. There’s no need to have them in central city. For the Mangere line the stabling facilities will be at Stoddard Rd. I haven’t seen any plans for the NW line, but I’d suspect that somewhere Westgate there’s still enough space for a decent-sized depot. The planned LRV (not tram) depot is supposed to be somewhere in Mt Roskill apparently. Not sure where but you would assume that they will build sufficient capacity to house sufficient LRV’s there. If it became an issue there is currently plenty of space in Kumeu to build another depot. Has that changed since they decided to run light rail to the airport? Surely there is cheaper land near airport or Mangere? I imagine there will be some stabling at the end of the line, Westgate or Kumeu as many services will start their day there. Those that start in town would spend their night at the proposed depot in Mt Roskill. An LRV every 5 minutes both ways on a line to Kumeu would only need 16 LRVs total which could easily be parked at Westgate. I can see that if they’re wanting to put the LR on the land beside the motorway, that these trees could be in the firing line, because at this point there’s no space down at the motorway level, and not much space up at the GNR level. Can someone please explain why LR won’t replace lanes on the motorway and why we have to give up more of our public space for transport, when there are perfectly adequate absolutely-inefficiently-used traffic lanes on the motorway to reallocate? +1. If we were serious about mode shift we’d not hesitate to reallocate motorway road space to PT. We’re proposing to do that on Dom Road (where half the road space will be reallocated) – so why not on the motorway where 25-33% would be required? You almost get the feeling that central government is scared of its own transport agency! Or perhaps a perception of likely electoral backlash. Time for serious change. I just think it could be so much quicker and cheaper. The Light Rail doesn’t need off ramps or on ramps. It needs passenger access to either side of the motorway. So taking the two central lanes (one each direction) and putting the LR there, with a bit more space required for central island platforms at the few stations, which then have lifts and ramps to overbridges. Surely this is cheaper than buying the land along the motorway and having to negotiate the crossing of light rail and the on and off ramps? Please, Nick, someone, enlighten me. Also you would need some construction workspace, so the impact on SH16 during construction would be devastating. Still, widening the corridor for the extra buffer is much less than for the entire Light Rail. Yes, during construction it would be difficult, but I’d like to see effort put into solving that, given the benefits I list in a comment below. It’s likely the that chosen system won’t need traction lines along the whole length of the tracks (i.e. it will be battery or capacitor operated). It is important to note that most of the modern wirefree systems for LRVs can only power them in operations up to about 60 km/hr. So to get decent speed and run times out to the north west they will need overhead power along SH16. Or even better elevate the track down the centre of the motorway like they are doing in Hawaii. Most of the Dominion Rd reallocation is existing bus lanes and car parking to LR, nowhere near as dramatic as taking a motorway lane. It’s the same boring answer I always give, you’re probably sick of it now! We would be heading towards a National government in 2020 and no LR at all if it were to be built where existing motorway lanes are. If the cost dropped significantly with my proposal – and I think it would, but I’d like to hear others’ opinions – wouldn’t that gain votes? From the rest of the country? From the 34% of Aucklanders (and growing by 3%age per year) who don’t use a car, van or truck regularly? The problem would be during construction, when neither traffic nor lr could use those lanes. The solution to that would probably be reallocating the other lanes to bus lanes right now, at peak hour. In fairness that quote was based on LR not taking lanes from the motorway. It’s never really been done in NZ before, but I suspect removing lanes from the motorway would be extremely unpopular. What you propose though makes a lot more sense, maybe it is worth a bit of pain, even if it delays the project, to get what would ultimately be the better solution. Putting the Light Rail next to the motorway does not meet the GPS goals. It takes more land (bad for environment), it doesn’t evaporate traffic (bad for safety and access and environment) and it requires the purchase of lots of land and the construction of lots of fiddly infrastructure (bad for value-for-money). If the two options were fairly put through the Investment Assessment Framework, the reallocation of the traffic lanes would be the one that would receive funding. I would be very disappointed if the new process doesn’t even include the better option on the basis of assumed political preference. Seems a little like having your cake and eating it by taking lanes off the motorway because it’s congested when the number of lanes reducing demonstrably leads to congestion. However that suggests the most effective way is to make it so there is effectively the same number of lanes the whole way and it doesn’t ‘reduce’ as such? Just biff it down the middle, take a lane from each side and get on with it. There is another option. Retain the same number of lanes by reducing the width to 3.25m and removing the shoulder and put the whole thing under an 80km/h limit. It would make the speed limit a lot ore credible, thereby reducing the spread of vehicle speeds and make the motorway safer as a result. The bulk of it is already 80 kmh but there’s almost zero enforcement of speed and no driving standards policing being done. Plus narrow lanes are fine in dry, sunny conditions, but during Auckland downpours those markings sheen over pretty quickly. You’d be losing a lot of that margin for times of narrow visibility by reducing lane widths. Aren’t the 80 k sections about to go up to 100? And isn’t it generally believed that narrower lanes at lower speeds are safer than wider lanes at higher speeds? I think SB’s suggestion is a good one, even if it is only a temporary one during construction. In theory the variable speed limit signs will drop from 100 to 80 or even 60 during heavy rain or traffic. I’ve only ever seen them 80 or X if there has been an accident. Consider this a lack of faith on my part in the police to uphold standards and NZTA to proactively manage speeds. Some days I’m very thankful for the Nascar-style lanes. Why not run it along Great North Rd? Connects communities from K Road to Pt Chev, including Western Springs. Street running as planned for Dominion Rd. Superb placemaking opportunities along the ghastly car yard corridor. Join motorway at the causeway. This is what should have happened decades ago, along with development of the area. Unfortunately, housing was put out west instead, and the inner west has resisted intensification. The money needs to be spent on providing rapid transit for the people stuck in long marriage-breaking, bleak commutes as a result. Maybe if the inner west changes its NIMBY stance we can get some rapid transit here too, but it’s not top priority when the frequent network here is fine. On the cost issue, for both NW LRT and PT projects in general, we really have to train our transport planners to think in terms of whole of life costs and not only short term capital costs. Operating costs for public transport are a big deal. If NW BRT is only 10% cheaper than LRT, then I suspect by the time you calculated operating costs for both, and the later capital cost of upgrading the BRT capacity, the NPV of the total is probably less for the LRT than the BRT. Doesn’t the Treasury Economic Evaluation Manual require whole of life costs to be calculated? This seems a significant omission for the NW corridor study. Is this not factually incorrect? It contradicts the body of the article. $2 billion is fractionally cheaper than $2.2 billion. They make it sound like the busways costs only $500 million. If $2 billion is cheap then so is $2.2billion. Exactly. You would have to be mentally deranged (or a National party MP) to choose the busway based on those costings. And another thing – while I said building LRT in the median could have significant traffic impacts on SH16 during construction, the same would be true of any BRT option as well. They actually take up more space than LRT (they need wider lanes). Unfortunately since there was no allowance left for PT when SH16 was built, any high capacity solution will have construction impacts. An interim bus strategy with higher level of service while construction is on should be an important part of planning this. Yes, and I think this needs to be for along Great North Rd too, as some commuters would choose a good bus route there to avoid the motorway works if it was available. I wonder if an elevated LRT along/down NW would be a viable solution. Then it is protected against sea level change and it would have a nice view for passengers. It’s what they are doing in Hawaii, aside from the looks it’s a practical and saves space. Construction should be quicker to, the pylons are fabricated on site but the pathway can be pre caste in an off site location then dropped into place. Hawaii has been dogged by massive delays and cost overruns. Not exactly sure why, but its a fiasco. What recent new LR system hasn’t been, Sydney, Edinburgh all dogged with cost overruns and significant delays. I’m just wondering, because I understood an elevated LRT (which would be great for passengers along the motorway) is costly, and wondered how Hawaii funded it. Of course, buying land is costly too. But do we fund 80% of our infrastructure spending through tolls, user fees, and user taxes? Elevating any rail line (heavy or LRT) roughly doubles the cost of track per km. You are building a vontinuous bridge under it. You would only do it if surface land was unavailable. Tunnelling increases unit costs by a factor of five. Thanks. Anyone know roughly what proportion of the costs of the NW line (after Queen St, to Pt Chev would be the appropriate section) are land purchase costs? You don’t need to elevate the entire network, just parts of it, I would suggest elevating the Dominion road section would make sense. – Cost of building elevated structure over 15km would be prohibitive. So probably not a viable solution. I do wonder though if the causway bit won’t be built this way, as options for widening are limited. See above the new rail network in Hawaii is elevated, as are big sections of the Vancouver Skyrail and Copenhagen Metro, running costs would even be cheaper since you could do away with the bag of meat behind the controls. Will still need a driver if it is going to run at street level through the CBD. You still have to pay the driver for being on board though even if the computer drives most of the route, or are you thinking that they would only hop on board for the road bits? That could work in theory, although I think it would be a big risk if there was a blockage in one direction and there were no drivers getting through to a particular end. assume they would set it to autonomous & step off then wait for next autonomous one going other way to stop & board that, set it to manual mode sort of thing so wouldnt need nearly as many wage earning humans. Elevate it down Dom Rd, Queen street will be a carfree, so that shouldn’t be a problem, why restrict the service by sharing the same road with cars? That would wreck Dominion Rd as a place to live, which would run completely counter to the idea of have Transit Oriented Developments and higher density around our rapid transit routes. Q: Why restrict the service by sharing the same road with cars? A: Because it makes the project financially feasible and leaves funds available for other essential projects. The CoL have gone very quiet on regional rail. What’s happened with that? There is a significant amount of work going into this at the moment. Last I heard NZTA will be giving more information in September. Does that make the previous government a CoN? I think they can build the LRT in a way that can also be used by bus. Hi have a issue with light rail to Kumeu .That is years away not Not What is Auckland council going to do about NOW .WE currently have rail lines to Kumeu Which have been totally over looked .Which can be bought back into use a lot faster than this dream of light rail and a lot cheaper .Why is Auckland city council thinking the people of this area are going to put up with the total ignoring of there current issues ????? 1. Using the current route it’d take about 90 minutes from Kumeu to Britomart, which is longer than driving. 2. Waitakere tunnel is not suitable for passenger traffic any more, as the carriages can’t be evacuated if the train is stopped in the tunnel. The rules have changed a few years ago, after the trial was done. 3. No rolling stock available. Besides, AT actually improved services (routes 122,125, 125x) out that way. If you wonder why there’s no bus priority along SH16 – you should ask NZTA, as it’s their domain. The main reason is that the previous government was hell-bent on making sure cars are prioritised over everything else hence no bus priority.